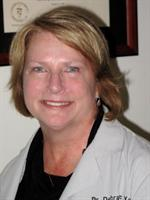 (708) 497-9976 Chicagoland Foot & Ankle P. C.
Dr. Debra E. Young is an experienced, board certified podiatrist and foot/ankle surgeon with over 20 years of experience who delivers a full range of high quality, caring, personalized foot care services. Her goal is to help patients achieve improved foot function, comfort and relief from pain. She offers the latest non-surgical and surgical treatments and procedures for the best functional and cosmetic results for bunions, hammer toes and heel pain, and treats common foot problems including corns, calluses, ingrown toenails and warts. Dr. Young also specializes in diabetic foot care and neuropathy as well as foot orthotics, and she has recently begun to offer the latest laser treatment for fungus toenails. Her Lincoln Park Podiatry office is conveniently located on the border of Lincoln Park and Lakeview and offers free street parking, easy access to public transportation, and extended office hours. The practice is in-network with most insurance plans and also offers a cash and payment plan for those without insurance. Services Offering non-surgical and surgical treatments: Bone conditions - bunions, hammertoes, bone spurs, painful joints or arthritis, fractures; Structural conditions - flat or high arched feet, heel pain, plantar fasciitis, foot and ankle injuries, Morton's neuroma; Skin and nail problems - corns, calluses, ingrown toenails, infections, fungus, skin growths, warts; New FDA-approved Laser treatment for fungal toenails; Foot orthotics; Diabetic foot care including shoes; Occupational foot problems. They keep the restrooms well-stocked here, and not just with the basics. There is mouthwash, lotion and other amenities. You can tell they want their clients to be as comfortable as possible. I've already told my friends and family about the fantastic experience I had there. They were one of the best podiatrists I have ever met. They made sure every single question I had was answered, and are always available if I think of any more questions I want answered. Their friendly demeanor and positive attitude really made my experience exceptional. They put in the extra effort to make me feel valued and important. Dr. Young is experienced, has the best bedside manner of anyone I've ever met and also very fairly priced. I've definitely recommended her to everyone I know!